Place broccoli in 2-quart saucepan; add about 1/2 inch water. Cook, covered, 3 to 5 minutes or just until broccoli is tender. Drain. Divide broccoli evenly among muffin cups. Top each evenly with cheese. Fill each cup with egg product. Bake 18 to 20 minutes or until set. 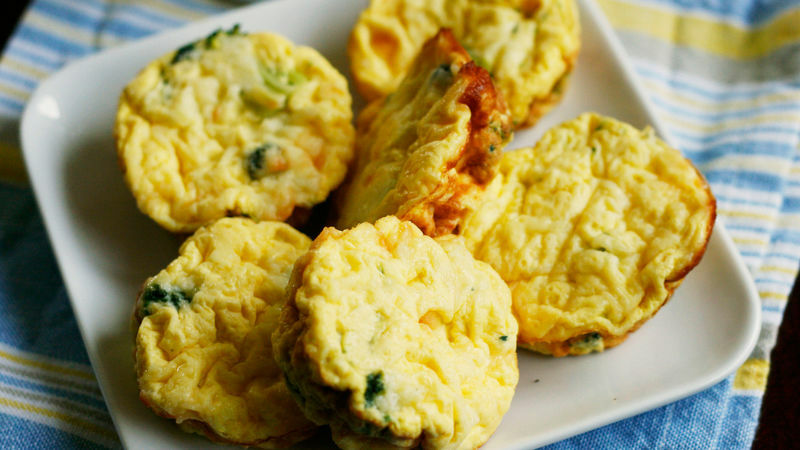 Cool mini frittatas 5 minutes; remove from muffin cups to cooling rack. Try this recipe with other veggies like bell peppers and onions, asparagus or spinach. Mozzarella cheese can be substituted for the Cheddar.